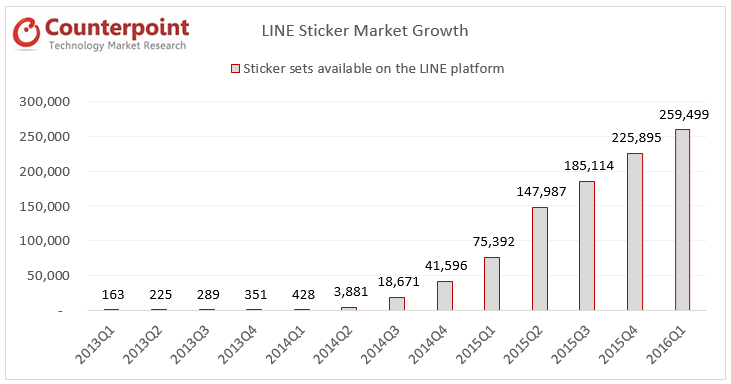 South East Asian (SEA) countries became a growth engine for LINE’s business in the last two years. Monthly Active Users (MAU) in Taiwan, Thailand & Indonesia together more than doubled in the same period, reached 91 million combined in 1Q2016, contributing 42% of total MAU for LINE. LINE was a first-mover in delivering popular new features such as the combination emoji’s and stickers; something other messaging providers have followed. However it needs SEA to succeed because its MAUs in its home Japanese market are growing only slowly, while in ‘Other’ markets, they are declining. Appropriately, stickers have been the key ‘stickiness’ factor for the LINE app, mainly because, Asian alphabets are difficult to type and Stickers are fun, easier to use and can be a more expressive way to communicate. LINE was the front runner to understand that and aggressively build an ecosystem of in-house as well as user-created stickers as a sales platform. Revenue from its Communications segment (Stickers is a major part), accounted for ~24% of the total revenue, which grew 38.8% over 2014 to reach ¥28,725 million (US$ 271 million) in 2015. We expect stickers will remain an important revenue source and will grow at double digit rates in the SEA market through the next two years. 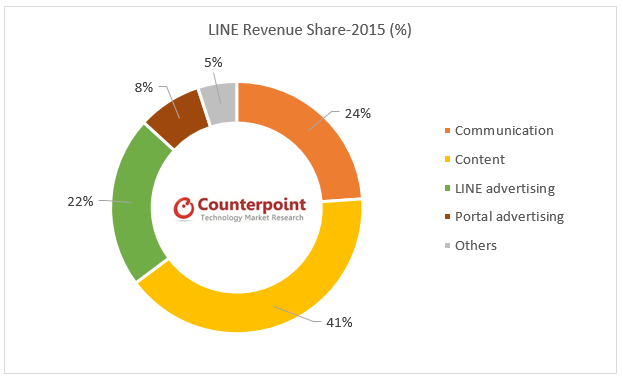 LINE GAME, is the main pillar of LINE’s Content Business, accounting for almost 35% in 1Q2016. However, LINE GAME decreased slightly over the last year (-1.6%) to ¥11,865 million (US$111.9 million) in 1Q2016. This decrease happened mainly due to a slow update of the most popular games and thus a decrease in the overall spending in ads from these games developers, which has somewhat impacted LINE GAME MAUs. Anticipating this issue, LINE has launched in-house games including LINE Ranger, LINE Bubble 2 etc. which have grown in popularity and will likely boost its segment revenues. LINE is also expanding into other services, like music streaming, ride-hailing, and online payments. These services are important to increase the breadth of the platform and drive the transition toward more of an ecosystem. Mobile-based payments and content consumption (e.g. stickers, games, video, music, etc.) 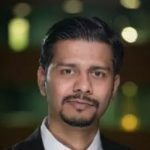 are gaining traction in emerging markets and this is a great way to expand the value and stickiness for the LINE platform. With few other competitors in the SEA market, LINE has to capitalize on the opportunity to grow with the market as it completes the transition to smartphones and begins the transition toward high speed data networks such as 4G LTE and eventually 5G. LINE News recently launched in Japan and could also garner popularity in South East Asian markets. Other features like social collaboration and gamification of fitness activity tracking or mobile gaming activity provide opportunities for LINE to increase its share of consumers’ digital lives. QR-code-based payment systems is a feature that helped WeChat to grow in China. It is a function that would likely gain traction in key SEA markets because low credit and debit card penetration, as well as high cost of ownership of card readers for merchants, means mobile payments is the best alternative to create strong Online to Offline (O2O) payment ecosystems. However, LINE will face stiff competition from dedicated payment providers, so will likely struggle to establish a dominant position in this space.